Add some dark rain to your look with these Quinny by Henrik Vibskov Black Raindrop sunglasses. 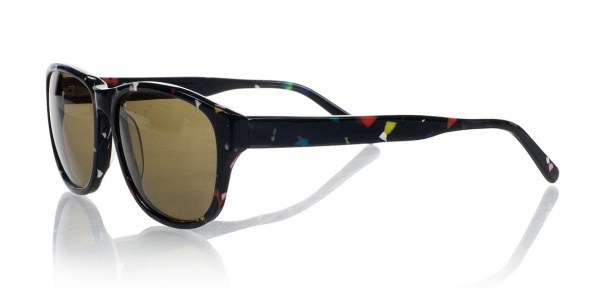 A pair of black wide eye sunglasses with acetate frames, colorful raindrop patterns color the outside of the frames, creating a playful touch to these dark sunglasses. Available online now.